Usage: Take one to two tablespoons daily on an empty stomach, or as directed by your qualified health consultant. Store in a cool, dry place. 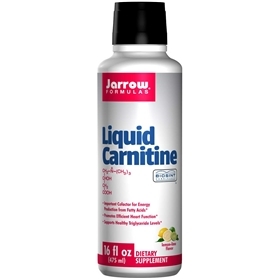 Liquid Carnitine 1000 is in a CarniSorb format, providing rapid absorption. This product is not animal derived and is suitable for vegetarians. Biosint is a trademark of Sigma-Tau Industries, S.p.A.